A hearing in the House of Representatives was held on March 19th 2013 on Threats from Space: A Review of U.S. Government Efforts to Track and Mitigate Asteroids and Meteors, Part 1. Another hearing on the same general topic is being held tomorrow, March 29, in the U.S. Senate. Following are (edited) prepared statements from the White House and NASA. The third witness, from the U.S. Air Force, discussed space situational awareness but did not address NEOs. Selections from the Statement by John P. Holdren, Director, Office of Science and Technology Policy (OSTP). The full statement can be read at [http://spaceref.com/news/viewsr.html?pid=43614]. ….This is a very timely topic — as underscored by the asteroid explosion over Russia on February 15 and the close flyby of an even larger asteroid the same day — and I am looking forward to sharing with you the Administration’s perspective on this issue….. The one-kilometer [survey] goal was achieved in 2011, with statistical calculations indicating that more than 90 percent of near-Earth objects of this size had been found. The task of detecting 90 percent of NEOs larger than 140 meters is much more challenging, and I will describe the United States’ efforts on this front later in this testimony. … The NASA Authorization Act of 2008 directed the Office of Science and Technology Policy (OSTP) to develop a policy for notifying Federal agencies and relevant emergency-response institutions of an impending threat; it also tasked OSTP with recommending a Federal agency or agencies to be responsible for protecting the United States from an expected NEO collision and implementing a deflection campaign, should one be necessary. The 1908 explosion over Tunguska in Siberia, which leveled trees over an area of more than 2,200 square kilometers (850 square miles), is thought to have been caused by a stony asteroid between 45 and 60 meters in diameter, imparting between 10 and 20 megatons of TNT equivalent. Such a strike is believed to be a once-in-a-thousand-year event (or, put differently, having a 1 in 1,000 chance of occurring in any given year). An energy release of this size could cause hundreds of thousands of casualties and massive destruction if it occurred over an urban area. The probability of this occurring, however, is much smaller than the one-in-one-thousand odds I just mentioned, inasmuch as land covers only 30 percent of the area of the planet and cities only 2-3 percent of the land area. Of course, a similarly sized or even larger asteroid that made it to the surface intact could cause significant damage even if it hit the ocean, by virtue of the resulting tsunami….. The Administration places a high priority on tracking asteroids and protecting our planet from them, as evidenced by the five-fold increase in the budget for NASA’s NEOO program since 2009. The United States has an effective program for discovering larger NEOs, but we need to improve our capabilities for the identification and characterization of smaller NEOs. Specifically, with our current or near-future capabilities, both on the ground and in space, it is unlikely that objects smaller than 100 meters in diameter on collision courses with the Earth will be detected with greater than weeks of advance warning – a matter of some concern since the larger objects in this range could be city-destroyers. Finally, I’d like to underscore some Administration policy and budgetary decisions relating to NEOs, which will buttress ongoing detection and tracking activities going forward. The President’s 2013 Budget for NASA’s NEOO Program proposes more than a five-fold increase in funding (to $20.5 million from $4 million) from the 2009 funding level for NEO detection activities. Further, the President’s National Space Policy specifically directs NASA to “pursue capabilities, in cooperation with other departments, agencies, and commercial partners, to detect, track, catalog, and characterize near Earth objects to reduce the risk of harm to humans from an unexpected impact on our planet and to identify potentially resource-rich planetary objects.” This guidance also reinforces NASA’s roles and responsibilities with regard to NEOs, as well as those of other Federal departments and agencies including the Department of Defense, the Department of State, and the Department of Homeland Security’s Federal Emergency Management Agency (FEMA)…..
NASA is committed to carrying out the President’s goal of conducting a human mission to an asteroid by 2025. That mission will benefit from current efforts to detect, track, and characterize NEOs by speeding the identification of potential targets for exploration. And in return, such a mission will generate invaluable information for use in future detection and mitigation efforts. OSTP has been working closely with several departments and agencies to draft plans and procedures, including potential mitigation strategies, that could be used in the unlikely event of a NEO impact threat. Under these plans, it is NASA’s responsibility to provide initial notice of such a threat. Following such notification, communications resources and mechanisms already in place within FEMA would be used to communicate information domestically. The Department of State’s diplomatic mechanisms would come into play for international communications as needed….. It is important to note that a challenge on the scale of planetary defense cannot be met by any single nation or government alone. Rather it will be critical going forward that the Federal Government cooperate closely with domestic partners in industry, academia, and other sectors as well as with foreign governments and international organizations to achieve our shared goal of scientific discovery, exploration, and risk mitigation. NASA has been a leading participant in the NEO activities of the United Nations Committee on the Peaceful Uses of Outer Space (UNCOPUOS). 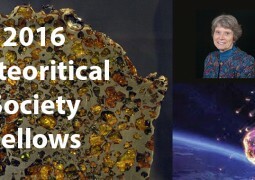 Over the past several years, a working group on NEOs under the UNCOPUOS Scientific and Technical Subcommittee has been examining the topic of Earth-threatening NEOs. Results of that work led to recommendations this year, endorsed by the Subcommittee, to broaden and strengthen the international network to detect and characterize NEOs, and to call for relevant national space agencies to form a group focused on designing reference missions for a NEO deflection campaign. NASA has been at the forefront of these activities and will continue to take on that role. NASA’s remote ground-based observations of comets and asteroids have been augmented by close-up reconnaissance data from the agency’s science missions. [There follows a listing of all past and current NASA missions to study asteroids, both NEOs and MBAs, including international collaborations]. NASA has a long history of observing comets and asteroids, but as their importance has become apparent as potentially hazardous objects, NASA has significantly increased its program of detection, reconnaissance, and characterization. NASA’s current program utilizes extensive ground-based telescope observations in partnership with academia, U.S. Air Force, the National Science Foundation, and many international groups as well. We have a nearly complete understanding of our largest NEO population. NASA has determined that it is unlikely that the world will suffer a global catastrophic impact over the next several hundred years similar to the dinosaur extinction event. We are making marked progress in assessing the risk to our planet from smaller objects that could produce regional disasters. NASA is regularly reevaluating the risk to our planet and constantly updating our knowledge of the NEO population. Smaller objects, such as the recent impact in Russia, will always be difficult to detect and provide adequate warning; however, progress will be made over the next decade in this area as well.